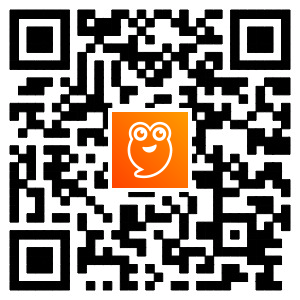 Design your cafe food world and join cooking with your free offline restaurant! Write your own chef story in bakery field today. Little baker! 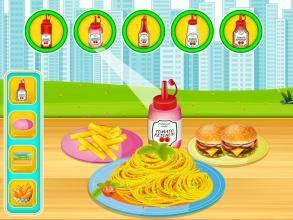 Master your cooking and design your 5 star cafe to be the top chef in the world! Run your own restaurant and get carried away in a cooking passion! Enter the wonderful world of restaurant management and start your own cafe business today. Cook delicious food and serve it to your customers in the warmest atmosphere in town. Home cooked meals and fresh coffee are waiting for the customers. Grab cooking ingredients from the supermarket & make payment on the cash counter to cashier. Your cafe will thrive! from a snack bar to a world famous cafe! Grow your burger shop business and expand your restaurant cookbook, decorate it in multiple ways and get more kitchen appliances, tables and chairs to be able to provide service to more and more foodie customers. Visit the town carnival to explore new street food stalls. Cook delicious burger, Chinese noodles or Sushi as well as croissants. Grow your cafe into a legendary location where people have fun and eat great continental food with their friends and loved ones. Don’t forget to visit nearest super market to buy fresh vegetables & chicken meat products. Perform pro cashier functions on the cash register to provide the best comfort to the people visiting your cafe food world. 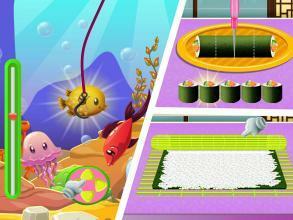 Decorate and design the place of your dreams in this cafe games for girls! Cook tasty food to keep your customers happy. You have multiple dishes for baking; bake desserts, appetizers, fast food and many more which make this the perfect kitchen offline simulator! Are you ready to be the owner of your cafe business? Then start your restaurant game in food town because this place is for you, crazy chef! 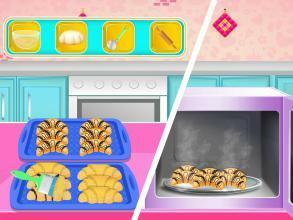 Mix ingredients, use kitchen tools & play various mini games to keep your chef mind occupied. Decorate the interior with some of the decorations available. Continue to earn money and grow your business to provide better and better sushi restaurant & outdoor cuisine experience to your customers. Make sure you always have the best noodles available for your customers to eat and enjoy. Cook fabulous croissants recipes for breakfast by always upgrading your food recipe cookbook. Increase your business management skills, more and more people will come to eat and chat at your diner cafe. Make sure you never stop improving your cooking and restaurant management skills. We hope you will enjoy our restaurant simulation games and that this will give you real life skills in the kitchen as well as managing your own cafe one day. Cook with passion and love and your food will always be delicious! 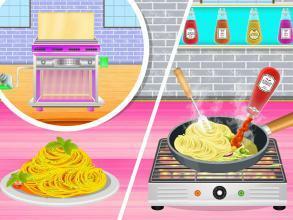 Play Cafe Food World today for the best cooking simulation experience of 2019!